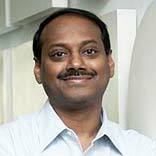 An interaction with Venu Madhav, CEO, Cafe Coffee Day. In an exclusive interaction with Restaurant India, Venu Madhav spills the beans of coffee retailing scenario in India saying, “Coffee has over time become a great social lubricant”. How has been the coffee retailing shaping up in the country comparing to what it was two years back? Coffee retailing in India is growing at five to six percent annually. The coffee culture in India was triggered by the ‘café’ culture which means the need for a convenient place to meet and hangout was being created first and ‘coffee’ turned out to be that essential social glue. The top eight cities of the country have seen rapid expansion in so far as coffee outlets grow. At the same time, CCD has left its footprints in 200 cities of India by opening stores at Mysore, Guwahati and Jamnagar which means semi-urban India too is warming up to café culture. Coffee has over time become a great social lubricant and coffee culture inspires people to come together. Now young India is more traveled and exposed to far more than their counterparts a decade ago. More than the regular coffees, they are now keen to experience newer tastes and experiences. So coffee retailing have moved on from not only cappuccinos, espressos etc to serving single origin coffees from India and other parts of the world, catering to more evolved tastes. What are successful brands like CCD is doing to keep the top market position? CCD is committed to bring a world-class coffee experience and superior customer service believing that this is what will keep the chain ahead. We have a core team of F&B experts, food technologists, trainers who ensure that the chain remains relevant and trendsetter. It is ensured that there is something new and exciting on offer at regular intervals. With the entry of foreign brands like Starbucks and Di Bella Coffee how is CCD gearing up? Competition does not influence our growth strategy. CCD has and will always be youth/consumer preference centric. However, competition is always welcome and the Indian coffee market has enough space for all to co- exist. With CCD becoming youth hangout across the country, what measures are you taking to retain it? At CCD, we understand the importance of ‘listening’ to the youth. So the idea is to first expand our digital footprint and then listen, understand and engage with the youth and thus evolve with them. For example, CCD has co-created its existing look and feel based on our consumer feedback. A few items in the menu have been introduced after engaging with the youth in these spaces and understanding their wants and desires. Our menu where we introduce some amount of newness each quarter and the look and feel of the café which we change at regular intervals are all reflective of young India. What are the challenges faced in coffee retailing in India? Fluctuating real estate prices and skilled manpower are two of the biggest challenges in this industry. What is the future of coffee retailing in India? There is a huge potential in the country for opening more cafes. Going by the demand, there is a potential for 5,000 cafes in India. And one measure of assessing this potential is the number of malls in India – there are 800 malls in the country and each mall can ideally take one cafe. Similarly, every residential area, high street, mass transit location, etc can have cafes. Where can we see CCD in the next three years? What is your expansion plans? Currently we stand at 1,650 cafes. Our aim is to have 2,500 cafes and xpress outlets in the next three years. We are already present in 200 towns across the country and are aggressively expanding our footprint. We will set up outlets in places where there are growth opportunities, including educational institutions, hospitals, expressways and high streets.